Henry Harris' food is unashamedly classic, with particular emphasis on provincial French cooking. The recipes in this collection are, for the most part, rich comforts - throughout his career the chef was praised for cooking the food that people really want to eat. 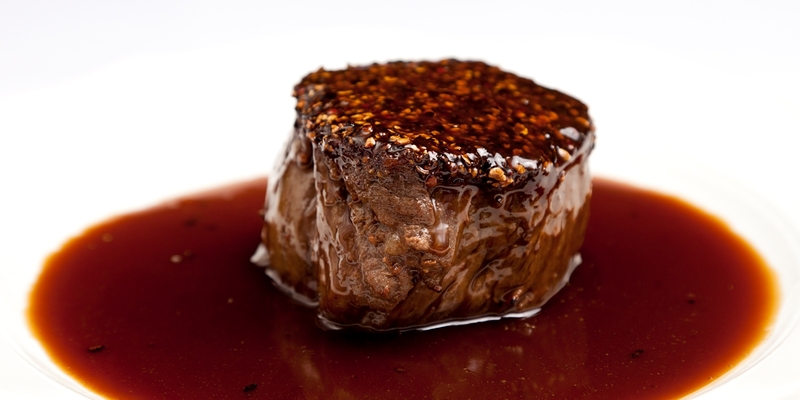 His Filet au poivre recipe is utter perfection, a chunky piece of beef sitting in a rich, syrupy sauce. He pays homage to his French training in his Tomato farcies recipe, a juicy tomato tomato stuffed with Toulouse sausage meat, while his Peach parfait dessert recipe is served with a refreshing peach and mint salad.